What comes to mind when you think of Jesus Christ’s core ministry? Do you picture Him healing the sick and raising the dead? Do you imagine Him traveling form town to town preaching? Or standing on the Mount and proclaiming what would become the beatitudes? A little while ago on Twitter, I posed the question: “What is Discipleship?” All of the responses that I received had one thing in common–they were all different. It seems that, for those Christians who recognize the need for discipleship, none can agree on what it actually is. Some felt that my distinction between the word “mentor” and “disciple” was just a matter of semantics. However, I strongly disagree. Christ knew, as He was was departing from our presence, that the best vehicle with which to reach men was to disciple them. Robert E. Coleman, in his powerful yet simple book, The Master Plan of Evangelism, says that men were Jesus’ method. Jesus chose a few select men with whom to live life, teach, and equip, while still enabling Him to complete His ministry. The Church today, however, often fails to focus on a few, but rather the masses. In an attempt to grow churches, gain numbers, and produce converts, the individual is neglected in favor of the corporate. Likewise, Jesus’ choice in discipleship was not a program or a checklist. He had things in mind that He desired to teach, absolutely. Yet, His approach was allowing these men to simply live life alongside Him. They were able to observe, ask questions, participate, and wrestle with His deity. Discipleship is not a series of recurring meetings or sessions, but rather a purposeful commitment to the spiritual growth and health of an individual. Sometimes that commitment can even be a lifelong one. Paul and Timothy are an excellent example from the Bible of a discipler and disciple. While Paul eventually commissioned Timothy to begin his own unique ministry, their relationship of discipleship always existed. There never would have been a time when Timothy could not call on Paul as his discipler, nor when Paul could have spoken to Timothy as his disciple. Discipleship within the Church is not taking place as often as it should be because, as you may have guessed, it isn’t easy. It is a commitment that can last years, or even a lifetime. It creates accountability when often times people would rather remain anonymous. That, I believe, is what Christ had in mind–using men to continue His ministry, men who would disciple other men, in the same intentional and powerful way He had done…and nothing less. How do you define discipleship? Have you ever been discipled? What do you think prevents the church from actively discipling? Also, some of you have asked how do you actually go about discilping others or how do you find a discipler for yourself. If you’d be interested in that, leave a comment. If enough do so, I will write a follow-up post answering those questions. I’m glad you referenced Paul and Timothy. But I would add that it was not a didaskolos/mathetes relationship. No. It was not merely an older guy taking a younger guy under his wing. It is far deeper. It is fatherhood and sonship. Paul refers to Timothy as a son. We are referred to as being spiritually adopted sons in Romans 8:15. The crux of The Gospel, of the whole of God’s will, has always been about the relationship between a Father and a Son. So, for me, discipleship is sonship. It is not gender-specific. It is a spiritual sonship, as His is a spiritual Fatherhood over us. I am currently and actively being discipled by Jim McNally, and he is a spiritual father to me ala Paul and Timothy. It is the will of our God that we would walk like this. Start with this truth and every thing else falls into place. Fatherhood, Sonship, us. I completely agree with you that Timothy and Paul had a spiritual father and son relationship. My husband and I were discussing almost your exact comment this morning actually. Yet, just because there relationship was deeper in that it was father/son, it was still a discipleship relationship, as well. The two are not mutually exclusive in my mind. Paul discipled Timothy and he was also his spiritual father. I think you can experience discipleship without father/son or mother/daughter relationship. I know of people who certainly have. I do not, however, think you can experience a spiritual father/son relationship without discipleship. I will be sending you this link via email, but I wanted to drop it here as well. This is in relation to your previous post about mentors and it also applies here, on this post, regarding discipleship. It really is my lifeblood. I just read the post and commented there. You found a big fan in Donald! This is his life message! I tend to agree with him in the Fatherhood/Sonship relation to discipleship. The reason is that when this relationship is not there, it really is just a mentorship. That relationship is never designed for the mentee (is that a word?) to succeed the mentor. With the father/son, mother/daughter aspect, the whole purpose is to pour into the other for the very end that your ceiling will be their floor. His ceiling, our floor. He poured everything into the disciples, now they were to go and do likewise. That’s how just a few men turned the world upside down. If you don’t have that intense relational aspect, you’re just Mr. Miagi to someone’s Daniel San. You’ll never exceed the works of the master. I agree, Tony. I think the struggle to maintain one’s own leadership is certainly a factor in the lack of discipleship. I also think, which some of the comments touched on here, that people are selfish and discipling requires selflessness. I was wondering and discussing with my husband the father/son relationship in discipleship. Jesus never really identified His own disciples as spiritual sons. He referred to them as brothers, friends, etc, but not “sons.” Yet, we know He clearly discipled them. Just interesting to me to think about. Perhaps because His role in the trinity is that of Son, not Father God. I don’t know…. I’d love to hear yours and Donald’s thoughts. This is simply because He came to us as the son of man who answered to His Father in such a way as to show us how to do it, and that it could be done. Jesus is all about His Dad. It is all about His Father’s Kingdom, His Father’s Will, His Father’s Sovereignty. He showed us this time and again when He was here for His earthly ministry. He set the example for us to be as sons, regardless of our natural gender. If we say, “I want to be just. like. Jesus!”, guess what that means? We need to become as sons. This is a hard teaching, but bear with me. The whole of our faith, going all the way back to Abraham, is the story between a father and a son. Our Father’s Kingdom has been passed down to a Son. We are then made as co-heirs of this Kingdom because of a Son. When our Father wanted to establish His New Covenant, He sent, yep, a son. It is akin to the truth of bread and wine that is all over The Scriptures. Consider: The first time the words “love” and “worship” were mentioned in The Scriptures, they both involved a father and a son. Abraham and Isaac. This story has not changed. We are called to love and worship our Father as sons, in the spiritual. It is impossible to worship Him in the natural, that is to say, in our natural genders. Impossible. We worship Him in spirit and in truth. Small “s” on spirit there. That spirit is the spirit of sonship, for we are walking in the first example of this to this very day. You have said correctly, I might add, that Jesus is not recorded in our Scriptures as ever having called His disciples as spiritual sons. But, the Holy Spirit said this through Paul in Galatians 3:26, for example. We are sons. If we are not, then this makes us orphans. Like I said, this is a hard teaching. My bride walks like a son of God in the spiritual, but has relinquished not a one ounce of her godly femininity this side of Heaven, in the natural. Does that make sense? I could go on and on, believe me. But I shall stop here. You say Jesus didn’t call His disciples spiritual sons, but He did in Galatians, for if it was not He who actually wrote The Scriptures and simply the will and intellect of men, we are all really in trouble, aren’t we? Yikes! The New Covenant is about the spirit of sonship, the mantle, the cloak. The Holy Spirit brings us into the very realm of spiritual sonship, as adopted sons, and we can now cry Abba! Father! because of Him. I am not attacking your womanhood, your femininity, your earthly womanly attributes or character. Not at all. To follow after Jesus one must be as a son. When men follow after Jesus and aren’t sons, they are abusers and liars. When women follow after Jesus and aren’t sons, they are manipulators and gossips. Jesus brings us into true masculinity and femininity through the spirit of adoption as sons. When I think of discipleship I think of the commitment to Christ. I know that I am a disciple of you Nicole but I am more of a disciple of Christ. At my church, we are going through a series called Disciple and from my understanding the reason why this church reaches out to people is to make disciples….of Christ. Not necessarily disciples for other people. I think having a discipler is important and being a discipler for others is important but I don’t think Christ calls every single person to do that or else we would have a lot more people having that put on their hearts. I haven’t done tons of research on this but from my understanding I think it is more important to spread the good news of our Savior before making disciples. It would be hard to tell someone, “okay so God gives you this free gift of salvation, all you have to do is believe Jesus Christ is your savior. BUT once you are a believer in Christ, you then have to do this and this and this and become a discipler and disciple other people.” It is a contradiction. The last thing Jesus told us before He left the earth was to “go and make disciples baptizing them in the name of the Father, and of the Son, and of the Holy Spirit.” Discipl-making is Jesus plan to evangleize to the world. He did not want us converting people and them leaving them to their own devices. That is what happened to me and I eventually walked away from God. Discipleship is always suppose to be in the name of Christ. However, while you are modeling yourself after Jesus, you are doing so by learning from someone who is further down the road than you are. The apostle Paul told people to do as he did. He was not telling them to be disciples of Paul, in so much as Paul was a disciple of Jesus Christ. In my estimation, it is a contradiction to say “accept Jesus as Lord and then chill out for a while and don’t try to emulate your Lord.” Discipleship is part of the salvation process, not just an afterthought, in my opinion. >>He did not want us converting people and them leaving them to their own devices. But why not? Isn’t that the intent of the flavor-of-the-month Christian self-help speakers on their nationwide tours? All I have to do is accept Jesus as my personal Lord and Savior, pray a quick prayer, get a free Bible, and a nice pat on the back and I’m good. Right? You mean I should submit to someone, to learn from someone, to be properly discipled and held accountable and challenged and, and, and….? Nicole. You need to get more exposure. Your stuff is that good. No joke. SO grateful for this post Nicole. I am currently praying and hoping for the Lord to bring someone into my life to disciple me. I would love to hear more of your suggestions on looking for someone, truth be told I have never met anyone I thought, – I would really like to be discipled by them. I hope now that I am more open to it God will bring someone in my life! These posts have been engouraging and I am grateful for them! I will be praying for that person to be made known to you. I will say too, that no one person is going to display everything you may be looking for. Sometimes though, they will be just the right person for a season or a specific issue within our lives. Though the word “discipleship” never shows up in the Bible (KJV at least), there is a critical focus on “making” disciples. There is so much to say about this, but I think discipleship is leading, not by just teaching, but physically leading and guiding and going. The disciple has to follow. The disciple follows WHEREVER he is led, regardless of the situation. If we are to disciple others. We have to be willing to lead. Not tell them where to go, but go first and have them follow. Today the “church” says “do this, do that” but stays in their pews. That is certainly NOT discipleship. I agree that disciples must lead and be willing to follow others, as well. There is such a lack of leadership on an individual level within the church, as well as accountability. Discipleship requires and demands both. It’s interesting, I’ve had several people “pour into me” so to speak, but I don’t know that I’d call any of it discipling… and it’s something that I’ve definitely desired. The thing I notice (and maybe it’s just a New York City thing, who knows) is that we’re all “too busy” to invest in someone in that way. It takes planning and commitment and, well, we’ve just got too much going on. That’s something I struggle with myself and something that frustrates me in others… the idea that we’re called to sacrifice – our love, our time, our money, our energy – for the sake of others and to glorify God but we DON’T. We’re selfish. And even more frustrating is the excuses I make for myself and the excuses others make FOR ME. I had a conversation with a friend once about feeling like I should be less selfish with my time when it came to listening to my roommate and making time to pray with her. My friend told me it was okay, that I deserved some “me time” and not to be bothered all the time. Looking back, I just don’t think that was biblical counsel. Not to say our time alone with Jesus is unimportant… it is, very much so! But when I look at where I’m spending my time, it’s rarely in prayer and meditation and reading my bible… Instead it’s TV, or Facebook, or Twitter. That was a long rant to say if discipleship is going to happen, it’s going to come at the cost of ourselves (as it should!) So if we want to make disciples who make disciples, we’ve got to call one another to selflessness as put on display by Jesus. You mentioned, I think, on one the biggest factors in people not discipling others: selfishness. Our culture does tell us you deserve “me time” and that we should be independent, not dependent on others to guide us. I disciple 3 women, and it is hard for me to not be selfish at times. I have two little kids, a husband, and I’m pregnant. I don’t always want to do the hard work of the Lord. Yet, discipling has probably blessed me more than any other thing in my walk with Christ. When we give of ourselves, God in His grace blesses our actions, even though we don’t deserve it. Excellent post Nicole. I very much enjoyed the definition of discipleship you’ve laid out, especially because it is so formed by scripture. I think you’ve pointed out what is lacking in the church today and why it struggles to reach others. I would love to see the church look more like the church in Acts, which I think is what you are describing. My husband and I were just discussing this morning that too many churches have taken a business oriented strategy and have lost the ability to form relationships. If you are going to have an affect on anyone’s life you must first build a relationship and gain trust and respect. So often the focus is on number of converts and these converts are left without any relationship. My husband and I are currently looking for a church, and our most recent post is (www.3-foldcord.com) about struggles in finding and church and attempting to define what we are looking for. We’ve come to the conclusion that we are looking for that relationship aspect, the ability to fellowship with others, to learn and grow with others. To be discipled and to to disciple. Finding a church environment that isn’t all about the hoopla and is more about the people is proving to be more difficult than we thought. Again, great post. Thanks Nicole! A girl after my own heart! I so long for churches to stop operating like businesses and return to the Acts model. It is difficult to find such a church, I know. My hubster and I started one instead. Well, and because God told us too. I’ll be praying you and your husband are able to find a healthy relationship-oriented, disciple-making church! It brings me so much joy to see someone emphasizing discipleship. Yes. Yes. Yes. I would like to add to this already amazing topic by posting a quote from some notes that were taken on a lecture Mark Dever, a pastor from Washington D.C., gave not to long ago. It doesn’t allow for casual Christianity. It brings concern for real evangelism. 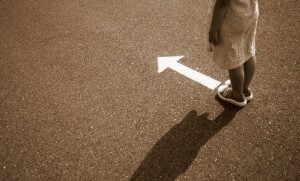 God wants disciples not decisions (although you do need make a decision to be a disciple). Jesus calls us to make disciples. So are you really a Christian if you’re not a disciple? And if you must be a disciple to be a Christian, what does that mean for our modern models of church/conversion? P.S. I would love to hear your take on how to go about being discipled/finding a discipler/discipling others. Do it. I double dog dare you. Love that quote! You have the best quotes, seriously. If you must be a disciple to be a Christian..well, then that means many of the modern churches are screwed. There, I said it. Part of the problem, and Carla touched on it in her comment, is the church structure today. It doesn’t even really allow for discipleship. That’s a whole ‘nother post though. and I’ll take your dare…even a double dog dare. “…many of the modern churches are screwed.” Yes, you said it, and yes, it is true. MOST (not all) of today’s brick-and-mortar churches are caught up in a man-made system that started in the fourth century. The house churches that were relationship-based were replaced by grand auditoriums well-suited for great orators. And the high holy place of the church became the pulpit, and young men who wanted to grow up to serve the Lord were told that they needed to pay tuition and listen to professors for years so that they, too, could become orators who produce the right kind of lecture series to keep the people coming and listening and putting their money in the offering while sitting in their seats, not interacting with others, not making disciples, not doing the works of God, but satisfied that they are fulfilling their spiritual duty because they listened to someone else talk about Christianity. How repugnant! How Satan cackles with glee to see the impotence of our churches. We have been so duped! Yes, thank you, Nicole, the key is certainly discipleship. That was Jesus’ method and that was Jesus’ command to us and how many of us are doing it??? Let me propose that both you and Donald are right. The Bible does not refer to the discipleship relationship as father/son. But Paul does describe his tender care for others in the church “as a nursing mother tenderly cares for her own children” (1 Thes 2:7) and “we were exhorting and encouraging and imploring each one of you as a father would his own children” (1 Thes 2:11) There is most certainly a cost of making disciples, because if you are doing it right, “we were well-pleased to impart to you not only the gospel of God but also our own lives, because you had become very dear to us.” (1 Thes 2:8) Discipleship is much like parenting. It requires a lot of time and effort and investment and often at the most inconvenient times. But the joy of producing a real Christ-follower is very close to the joy of raising godly children. Nothing beats it. And we look forward to seeing our children (both physical and spiritual) raising up grandchildren, teaching the things which we have imparted to them. Okay, so I’m passionate about this, as you are. Matt 28:18-20. 2 Tim 2:2. “If you love Me, you will keep My commandments,” (Jn 14:15, 21; 15:10; 1Jn 5:2-3) including His final command, decreed with the authority of supreme commander of the universe (Mt 28:18)… go and MAKE DISCIPLES!! !” Could anything be clearer??!!! I came over from Dustin’s link on my blog. Awesome stuff. I am tracking right with you on the same trajectory. I am in a disciple relationship. I am both being discipled and discipling. I define discipleship as the Gospel mission of proclaiming Christ through daily living with the goal of transferring your spiritual DNA to others. Hi! Thanks for the very Encouraging words and needs immediate response and application. When I became a Christian in the Philippines I was being discipled and had been discipling others. When I came to England, I really prayed for a discipleship focused church and I found one. The church was very active into discipleship for almost 4 years since I started in 2003. everyone knows who their discipler is. For the last 3 years, this was replaced by some form of group bible study and no more emphasis on personal discipleship. No one is doing discipleship anymore and I don’t see it happening in church anymore. Some do not know who their discipler is. I have spoken to the minister, who is also my discipler, many times this matter as I was very concerned. But it nothing is happening. I admit I was affected that I don’t disciple anymore. Lately read this article and started to build a passion for personal discipleship. I have been praying for Gods wisdom if I have to move to another church who understands and actively practice personal discipleship? I need you advise. Thanks. Thanks for your kind words! I’m glad you enjoy the site and I hope it helps as you mntisier to others.Help me understand what you mean by self-revealing Christ.’ Are you referring to Christ revealing Himself through His Word, the Bible, or in some other way? Heard a speaker recently ask the question – Who is your Paul (discipler), Barnabas (encourager) and Timothy (disciple)? Thought it was a great illustration of what God desires in His church. I have been discipled in the past and had disciples (mostly through Campus Crusade for Christ). I also had a older woman disciple me after college. I find now that I have children who also need discipling, there doesn’t seem to be anyone interested in discipling me or time to make it happen. We have a lot of activity and knowledge being taught to us but not much is touching my life and actively transforming me to Christ image. How to you show the value of discipleship to those who never experienced it? Did you write about how to find a discipler? Mary, thanks for sharing. I would challenge the speaker you heard and take it one step further, in saying that Paul, Barnabas, and Timothy were all disciplers, In fact. Barnabas discipled Paul and was who first helped Paul on his spiritual journey after meeting Jesus on the road to Damascus. I think the distinction is that the NT shows an ongoing, active, healthy, and vibrant process of discipleship. Essentially, discipleship was how the Church grew following Jesus’ resurrection. As for finding a discipler, my husband taught me to just ask someone. It seems a little silly or obvious, but he has been discipled by many great men and each one of them he approached and asked them himself. I’ll be praying Mary that God place a woman in your life whom you can seek out, as well and that you may find blessing in a discipling relationship. Last night a group of men (including me) met to discuss how we would foster discipleship in our church. We were all excited at the end of the meeting by the possibilities of what could come from our continuing quest to flesh out what this looks like in our church. Myself and my friend Eric put forth a point of view about what we considered “discipleship”. Amazingly, it could have been your post. When I read it, I was amazed that every aspect of it was almost identical to what we had written and what we said at the meeting last night. This is an important topic, so I would like to read more from you and your readers on this subject.